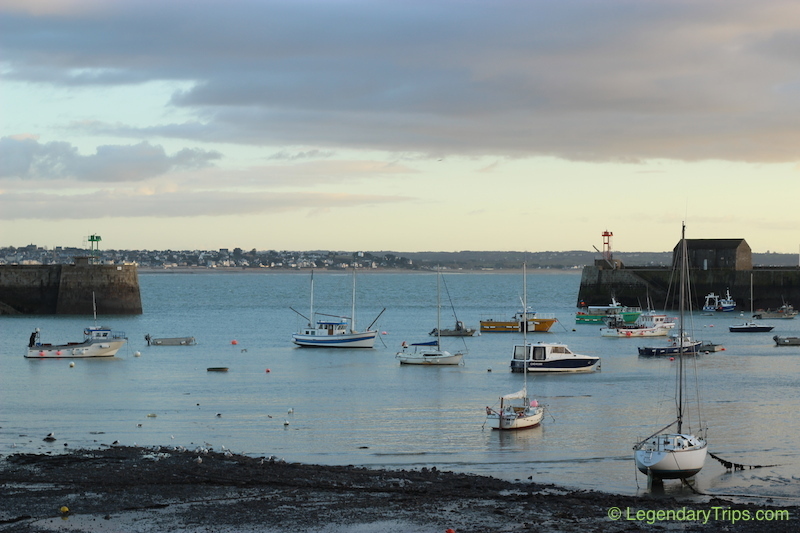 Any visit to France would be incomplete without making a detour through beautiful Normandy. Located only a few hours away from Paris, it has all the ingredients for the perfect road trip: charming Normand towns and villages, stunning coast drives and a good dose of history with landmarks and monuments deeply tied to the most important events of the Middle-Ages and World War II. This 4-day Normandy road trip itinerary takes you through Honfleur, a lovely town that inspired many great impressionist painters like Claude Monet, Bayeux and its Cathedral, the D-Day Beaches where the Allies landed during WWII and, to finish, the unique Mont Saint-Michel and its beautiful Bay. Have you already been to Normandy? Share your trip itinerary to help fellow travelers! 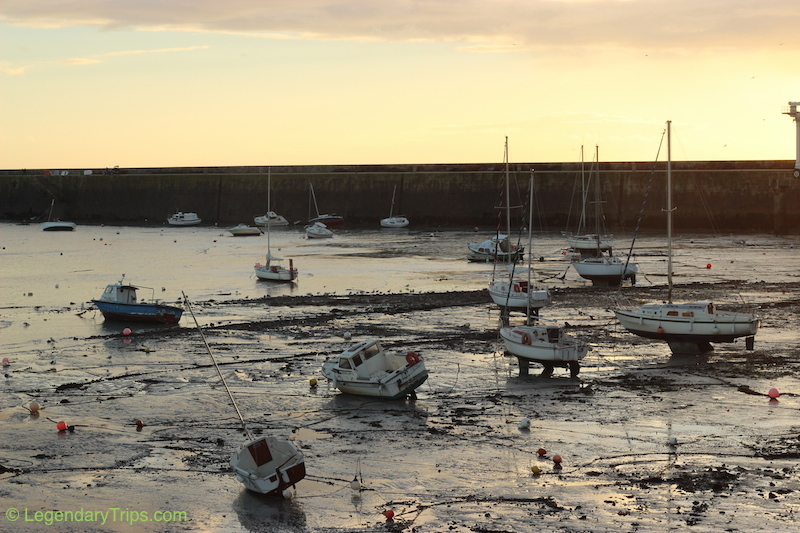 Let's start this Normandy 4-day road trip with Honfleur, a cute little town on the coast of La Manche that has been represented in many of Claude Monet's paitings. 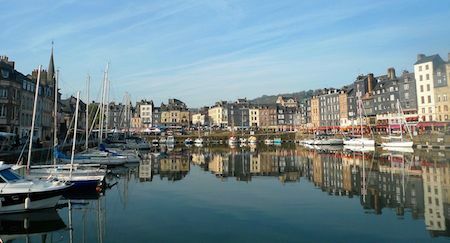 Honfleur is about 2 hours away by car from Paris, that is if you take the highway. If time is your side you may very well enjoy a ride on the little roads through Eure and Basse-Normandie that lead to Honfleur. 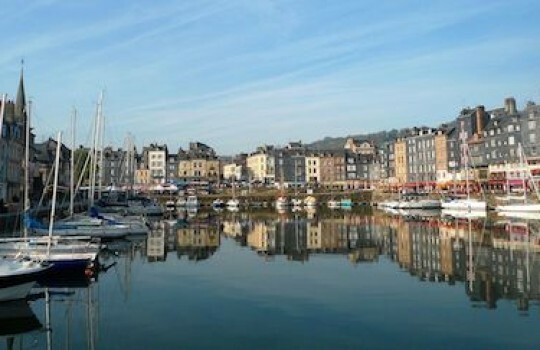 Once in Honfleur, take a walk in The Vieux Bassin (see photo), the town's picturesque port. There you can admire its famous narrow houses on Quai Sainte Catherine and the Middle-Ages vestiges that are La Lieutenance and Porte de Caen (Caen's Gate). 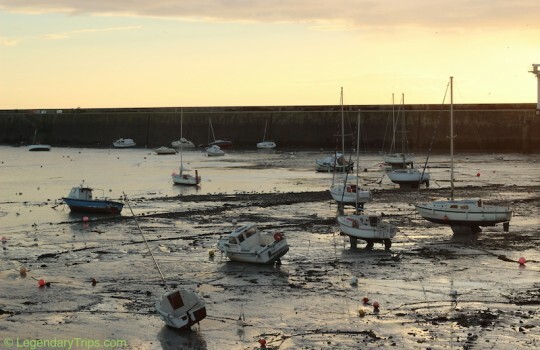 Enjoy the evening in Honfleur; perhaps a romantic walk on the beach? For dinner we would advise to pick a restaurant in the city centre rather than on the port where most restaurants are, unfortunately, tourist traps. 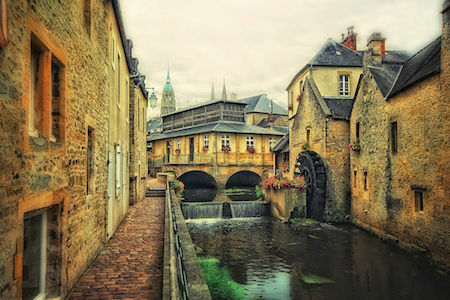 On the morning of the second day of this Normandy 4-day road trip head to Bayeux, ideally following the coast road to see the beautiful seaside. There you could have a nice lunch and visit the famous Bayeux Cathedral (Cathédrale Notre-Dame de Bayeux) in the historic city centre. Continue your trip north to see the historical beaches of World War II D-Day where the Allies landed to liberate Europe from Nazi Germany. 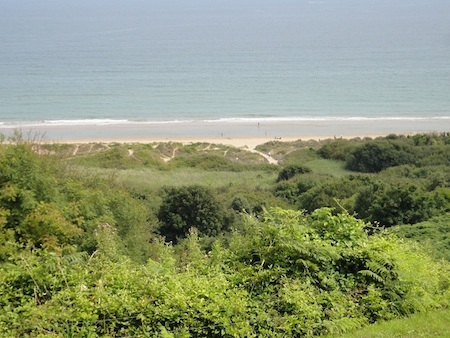 The most famous of the five D-Day beaches is Omaha Beach (see photo here) but you could continue and see Utah Beach as well which is located in the beautiful Parc Naturel Régional des Marais du Cotentin et du Bessin. There are many organized tours to visit the D-Day beaches area but this is not really needed in our opinion. The main sights (besides obviously the beaches) are the impressive Pointe du Hoc where stood one of the largest German batteries and the American cemetery. After the D-Day Beaches get back on the road to reach Granville to spend the end of this itinerary's second day (another option would be to spend the night back in Bayeux). 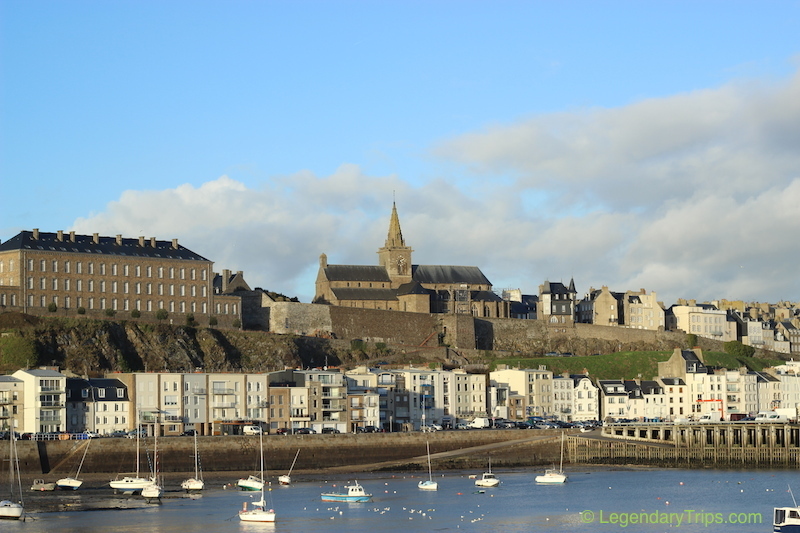 Granville is a beautiful town in the Mont Saint-Michel Bay that is famous for being the hometown of fashion designer Christian Dior (you can actually visit the house where he grew up). Check out these photos by LegendaryTrips to see how charming Granville is. 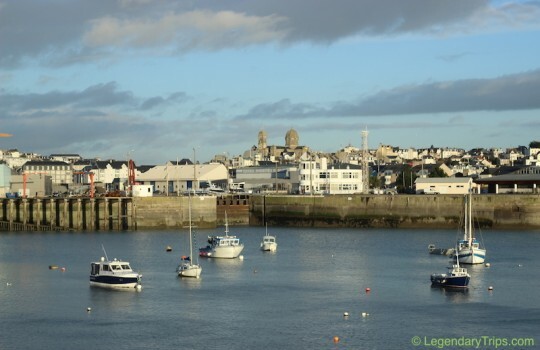 Enjoy a walk on the port and find a nice restaurant there for dinner – we especially recommend restaurant La Citadelle for outstanding fish and seafood. 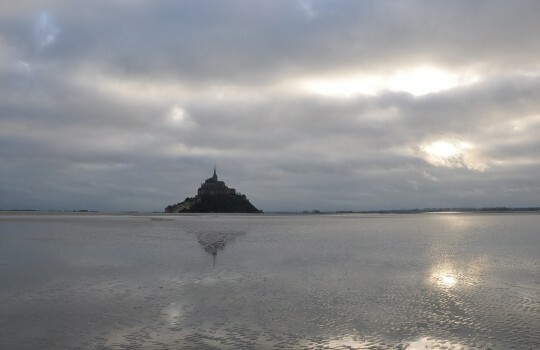 The next day, after visiting the historical city centre of Granville, drive to the Mont Saint-Michel following the coastal road that gives a stunning panorama of Mont Saint-Michel Bay. A once in a life time experience that you should consider if you have the time/energy for it is the crossing by foot of the Bay at low tide to reach Mont Saint-Michel. The area has the second highest tides on earth with roughly 14 metres (46 ft) between high and low water marks. The tides were described by Victor Hugo as shifting 'à la vitesse d'un cheval au galop' (as swiftly as a galloping horse) and that's not exaggerated at all: the tide comes in at the speed of 1 meter per second! Needless to say a guide is mandatory for safety reasons, not only not to be caught by the tide but also to avoid quicksands that are common on the way. You can easily find a tour departing from Saint-Jean-le-Thomas. You should plan this in advance though as you need to follow tide times. 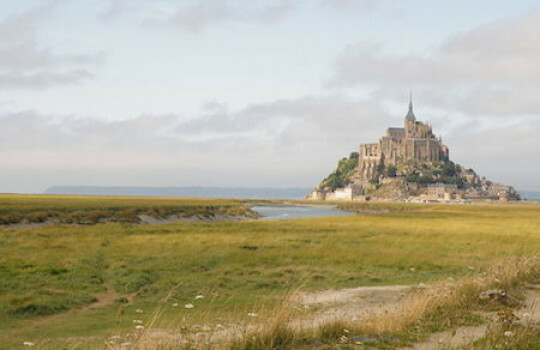 Whether you reached Mont Saint-Michel by car or by walking you will be equally rewarded by the sight of this beautiful fortified island dating back to the Middle Ages. 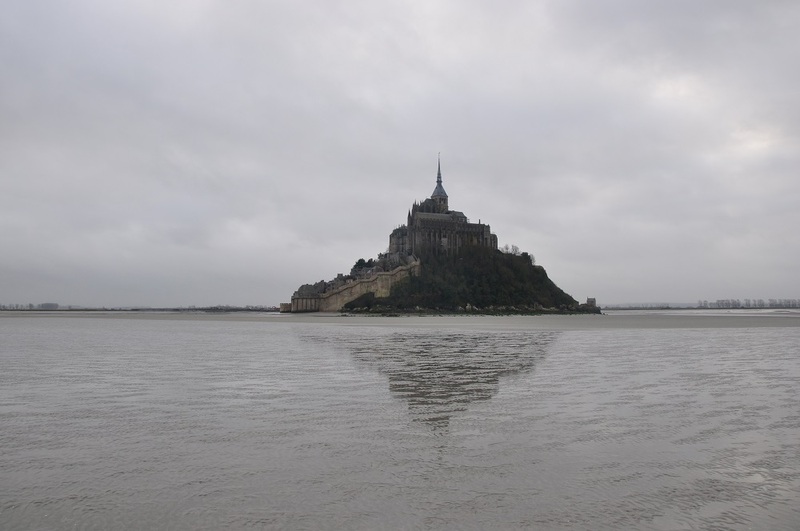 The Mont Saint-Michel can be visited thoroughly in a few hours. Be prepared to climb quite a few stairs, especially to reach the Abbey at the top that is a must-see. After that enjoy a meal at the world-famous restaurant La Mère Poulard visited by many famous people through the years like Ernest Hemingway who spent a few days there to write up his notes on the D-Day landings. A bit too expensive in our opinion but the omelet there and the experience in general certainly won't disappoint you. 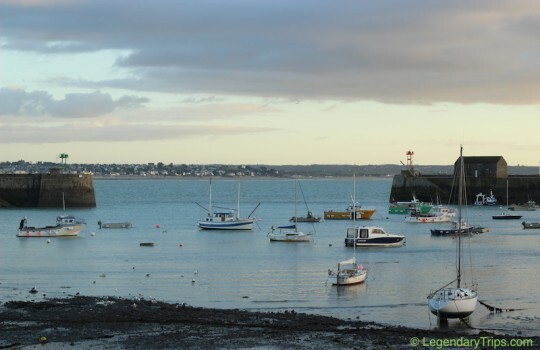 Then spend the night in one of the many guest houses/B&Bs in the surrounding area (in Beauvoir, for example) and explore further the Mont Saint-Michel Bay before returning to Paris the next day for the end of this Normandy 4-day road trip. Hope you enjoy, don't forget to send us your pictures! What is the cost of this trip and what dates are available in April 2015. I am looking only for an English speaking tour. LegendaryTrips is not actually a tour operator. We recommend travel itineraries from our own experience or shared by other travelers. I actually visit Normandy regularly so I can definitely help you. 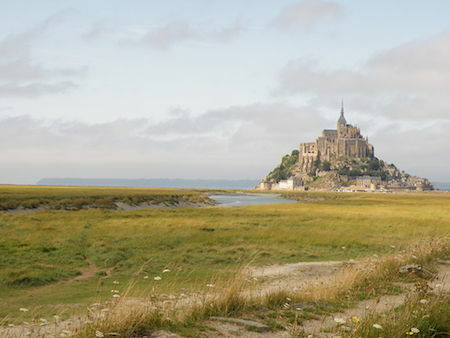 I would recommend to rent a car and book local tours at the main destinations like Bayeux, D-Day Beaches and Mont Saint-Michel. There are a lot of English-speaking tours available in general. if you are not comfortable driving, there are also a lot of buses to Mont Saint-Michel and Bayeux departing from Paris. Don’t hesitate if you have any questions! 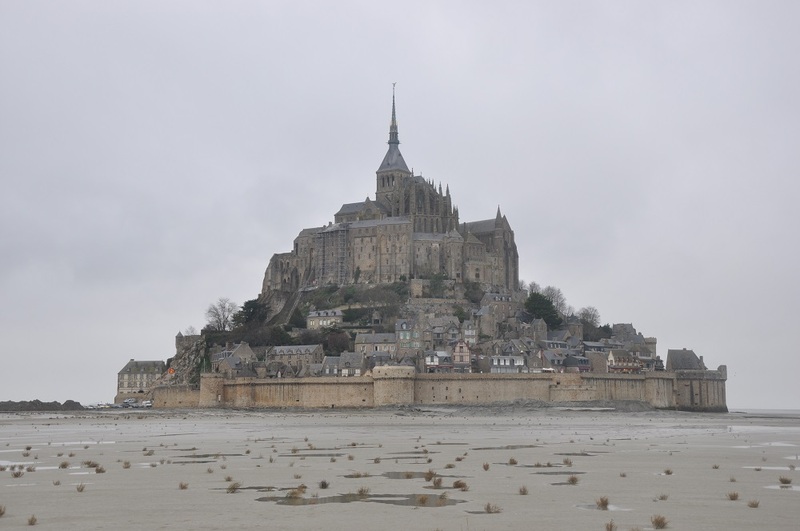 – visit only the Mont Saint-Michel: if there’s one place in Normandy you should see it’s the Mont Saint-Michel, no doubt about it. Please let me know if I can help further! I will be visiting England from middle of August to middle of September and would like to take a tour of the Normandy beaches. A four day trip would be preferable but I am interested in a conducted tour. Sorry but LegendaryTrips is not a tour operator. We just suggest itineraries based on our experience or other travelers’. In the future we do plan to recommend tour operators for each itinerary though. In the meantime I would recommend you to have a look at Viator.com (part of TripAdvisor) – they have a few Normandy tours available (including the D-Day beaches). Do you think Rouen is worth some time on the way to Honfleur? We’ll be driving from Paris at the beginning of October and have three days? And do you know anything about the harvest fairs that time of year? I am loving this site, I have never used it before. I just found this itinerary and it is perfect for our drive through Normandy. We will be in Paris in September and wanted to drive out the city for four days. We would prefer to not have to pack up and stay somewhere different each night, could you recommend maybe two locations that are close enough to stay two nights each? I am visiting Normandy for four nights beginning Wednesday afternoon and leaving Sunday morning. October 26 to 30. I want to visit Giverney as well as the WWII historical places. Can you suggest an itinerary along with suggestions for which towns to plan hotel stays. Thanks. I have two clients who are interested in a three day trip. Do you only have a four day? If so, they are looking to go on May 6th. How much is your trip and do you pay commission? Thank you.